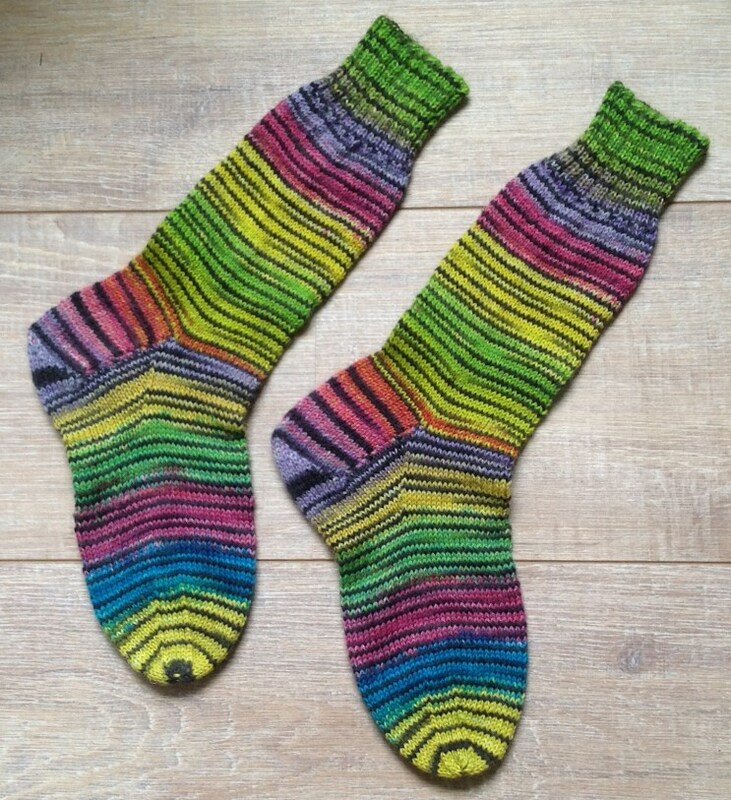 It is so surprising, knitting with the yarn of a dyed sockblank. Thanks for the idea of the black band at one side of the sockblank Meta…..it looks great! Ze zijn prachtig geworden Nelly!!! Dank je! Ben er blij mee!